Foundation Yéle Haiti, which already offers vocational courses in carpentry, masonry and plumbing to the Collège Victor Esaie in Port-au-Prince, has announced an alliance with HVS, the world leader in consulting and services focused among other things, on the hotels and restaurants, to launch a pilot project of vocational training of hospitality in the sector of the tourism. The purpose of this program is to train hotel employees present and future, to accelerate economic development and job creation. 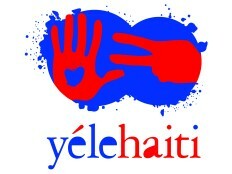 This new program of Yéle Haiti which will host at the beginning, 120 students, will begin in September 2011 in Jacmel, one of the most popular tourist destinations in Haiti. Yéle Haiti is committed to hiring at least 75% of future graduate students in March 2012 and has already sought funding support to expand the vocational training initiative to other departments of Haiti in at least five different industries. "This effort is to provide hospitality education and training to people ready, willing, and eager to work but without the education or skills to do so, in addition to enhancing the skills of those already employed in the industry," says Derek Johnson, CEO of Yéle Haiti. In order to ensure that this hospitality program reflects the needs and realities of Haiti's tourism industry while adhering to international standards, Yéle Haiti and HVS have been consulting with the Tourism Association of Haiti regarding the technical and cultural aspects of curriculum development and student/teacher recruitment. Furthermore, HVS brings an innovative approach to this effort by including feedback from major hotel brands and companies and local Haitian operators and tourism professionals. According to Trinidad native Parris Jordan, Managing Director of HVS's office in the Caribbean, "Jacmel experienced the greatest loss in hospitality and leisure tourism demand worldwide in 2009, and [the region] continues to lose market share to competing destinations partially due to low service standards. This training program initiated by Yéle Haiti, and combined with our expertise in hospitality and training, will provide the means for Haiti to capture more of its share of global tourism revenue and boost the economy by delivering an upgraded guest experience that encourages repeat visitors." Tourism has reported $125 million in Haiti at the end of 2007, while Jamaica has received over 3.5 billion and the Dominican Republic 5 billion, according to data from these two governments for this year of reference. Yanick Martin, Director of the Regional Tourism Board of South-East Haiti states, "We are excited about the Yéle Haiti – HVS collaboration. Hospitality is the cornerstone of Jacmel. We have a beautiful history. Our town is rich in arts, music, and cuisine. We want to share our story and culture with the world."